has been dancing since the tender age of three. Her training began at the Marcia Hyland Dance Center studying under Linda Polvere, Gerry Barney, Nicole Angelastro, Norma Jean Frumento and Barbara Deal. Adding to her dance background, she has also attended hip-hop classes in New York City with Leslie Feliciano. Her skills of performance have been learned through our annual recitals, where she was often selected to lead pre-school level performers. She has taken her place in the Marcia Hyland Dance Company as well as becoming a dedicated member of our faculty. Kristen is quite proud of her accomplishments in pageant competition having been recently crowned New Jersey’s Royal International Miss 2015, as well as being a talent recipient. She was also a top finalist in the New Jersey State Teen Arts Festival as a solo dancer and concert vocalist. 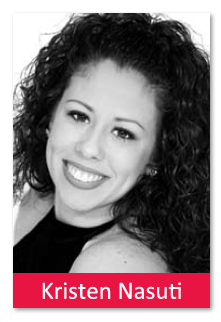 In demand as a Choreographer, Kristen had the responsibility of choreographing Lenape High School’s musical production of “Anything Goes and “Grease.” She was also a featured dancer and Choreographer for “A Funny Thing Happened On The Way To The Forum” and Man Of La Mancha” at BBC. With her warmth and charm, she captivates the attention of her aspiring students. They respond to her caring approach with enthusiasm and determination to please their teacher. Thank you, Kristen, for sparking the imaginations of our young dancers!